DAY 01:Pick Up at Jammu, transfer you by surface to Katra, Starting point for the Holy Vaishno Devi .Arrive and proceed to your Hotel. Rest of day, stay Katra. 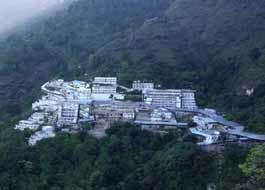 DAY 02: After breakfast visit temple of Mata Vaishno Devi ,After darshan and Pooja, evening return to Katra. DAY 03: After breakfast drop at Jammu Air Port/Railway Station. Step into the world of resplendent colors, wide-open spaces and exotic cultural treasures. Fly-Rail tour & travels invites you to a vacation in India. Prepare to be enthralled when you see magnificent monuments, heritage temples and the vibrant celebrations of Indian festivals on your Indian Holiday. Be mesmerized by the sight of the ethereal Taj Mahal in Agra, India. Enjoy an Indian Holiday and your Travel to India full of monuments, history, culture, hotels, festivity and color. We have the great pleasure in introducing ourselves as a leading Travel agency, working, from Last 16yrs under the name & style as M/s FLY RAIL TOUR & TRAVELS, situated in Hari Market Jammu (J&K), duly registered with J& K state tourism Deptt. & also a member of TAAJ. 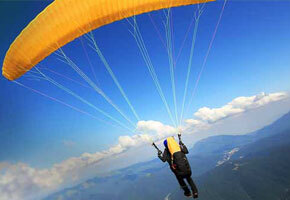 (Travel agent association of Jammu) & IATO:- (Indian Association of tour Operators). © 2016 Fly Rail Tour & Travels. All Rights Reserved.